يشكل شقق كابيكورن وان بيتش سايد هوليداي بموقعه الممتاز في جولد كوست نقطة انطلاق جيدة لاستكشاف هذه المدينة النابضة بالحياة. لا يبعد الفندق كثيراً عن مركز المدينة، فهو يقع على بعد 1 km منها. في حين يستغرق الطريق منها إلى المطار حوالي 40 دقيقة. يوفر الفندق بفضل موقعة الجيد وصولاً سهلاً إلى أهم معالم المدينة.
. إن الخدمات التي يقدمها شقق كابيكورن وان بيتش سايد هوليداي تضمن للنزلاء إقامة مريحة. لضمان راحة ضيوفه، يقدم الفندق الخدمات التالية: تسجيل وصول/خروج سريع, تخزين الأمتعة, واي فاي في المناطق العامة, صف السيارات, التوصيل من وإلى المطار . استمتع بوسائل الراحة الراقية في الغرف أثناء إقامتك هنا. بعض الغرف تتضمن تلفزيون بشاشة مسطحة, غرف لغير المدخنين, تدفئة, شرفة/ تراس, ساعة منبه لمساعدتك على استعادة طاقتك بعد يوم طويل. يمكنك طلب اللائحة الكاملة للخدمات في الفندق ومن بينها حوض استحمام ساخن, ساونا, مسار جولف - ضمن 3 كم, حمام سباحة خارجي, حمام سباحة داخلي. إن شقق كابيكورن وان بيتش سايد هوليداي هو خيارك لخدمة الفنادق الراقية في جولد كوست. يُرجى العلم بأن ساعات عمل مكتب الاستقبال هي من الساعة 9 صباحًا إلى 4:30 مساءً في أيام الأسبوع العادية، ومن 9 صباحًا إلى 12 ظهرًا أيام السبت، ومن 9 صباحًا إلى 11 صباحًا أيام الأحد والعطلات الرسمية. وعلى النزلاء الذين يصلون في غير الأوقات المذكورة الاتصال بقسم الحجوزات قبل 48 ساعة على الأقل من موعد تسجيل وإلا سيتم احتساب رسم تأميني. يرجى العلم أن مكتب الاستقبال يعمل من الاثنين إلى الجمعة من 9 صباحًا إلى 4:30 مساءً، وأيام السبت من 9 صباحًا إلى 12 ظهرًا، وأيام الأحد والعطلات الرسمية من 9 صباحًا إلى 11 صباحًا. إذا قام النزلاء بتسجيل الوصول بعد هذه المواعيد، فيرجى الاتصال بالفندق مباشرة قبل 24 ساعة على الأقل لمعرفة إجراءات الوصول المتأخر. رسوم إضافية على البطاقة الإئتمانية بقيمة 500USD مطلوبة عند تسجيل الدخول كمبلغ تأمين للأجور أو الأضرار خلال الإقامة و سيتم إسترجاعها عند المغادرة. For us with two young children, we didn't want to be too close to the main business of Surfer's. So the location, Surfer's Paradise North, which was quieter was preferred. The indoor pool is great! So warm and there is a sauna on the poolside. My children love swimming and visiting in winter meant that the sea was not an option so this was great. The apartment itself was huge with a washing machine, tumble drier, bath tub and great sized kitchen. There was also parking. You will need to travel either a short walk (10-15 mins on foot) to the nearest supermarket and 5-10 minutes to restaurants but there are a lot of delivery options for takeaway food. The view is stunning, right out to the ocean. The reception is not open 24/7 so before your arrival make sure you have checked you will arrive at a corresponding time or inform beforehand. Overall great place, great location. We were a group of three people but the room was good enough for 5! Very spacious, and a mere 5 minute walk to the beach. Steve and Brenda were very nice and helped us with our inquiries. The building is a bit old but the rooms are well kept and have a wonderful view. Will definitely be back! Is an enjoyable stay. 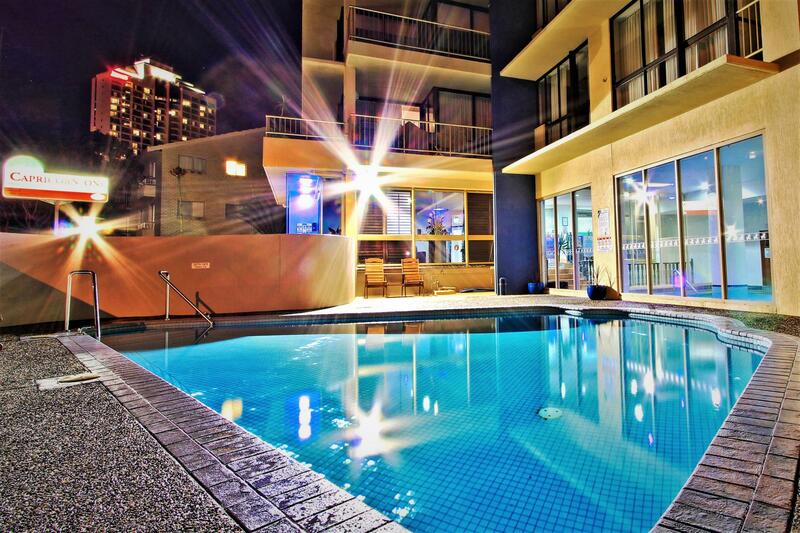 It has a good location since is a 10min drive to Australia Pacific Shopping centre. Hotel manager Brenda is very friendly and offer us additional 1 night stay if we going back again. Overall the experience is good and definitely worth coming back again. It was like our dream home come true! 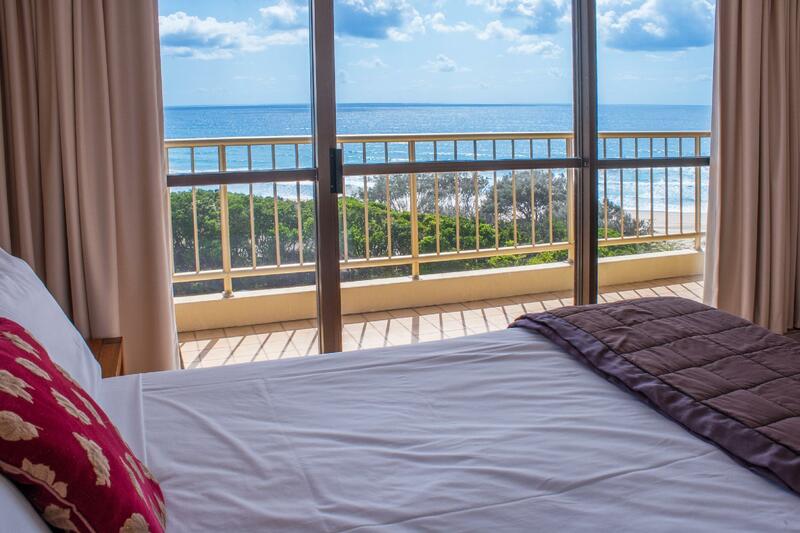 The apartment is well equipped with everything we needed, and the view's simply breathtaking. The location is great too. Taking a bus to the themeparks is about a 5-minute walk away from the apartment and exploring the Gold Coast is super easy, as the tram station (Surfers Paradise North) is just around the corner. Special thanks to Steve and Brenda for the complimentary gift, and also for making our very first stay in Australia, a very relaxing and memorable one. Hi, This apartment is a little run down with old furnishing. No hair dryer. No airconditioner, ceiling lights are ain't bright enough, ceiling fan looks shaky when it is on (scary, felt it may drop off anytime). Sofa and windows was piled up with layer of dust. 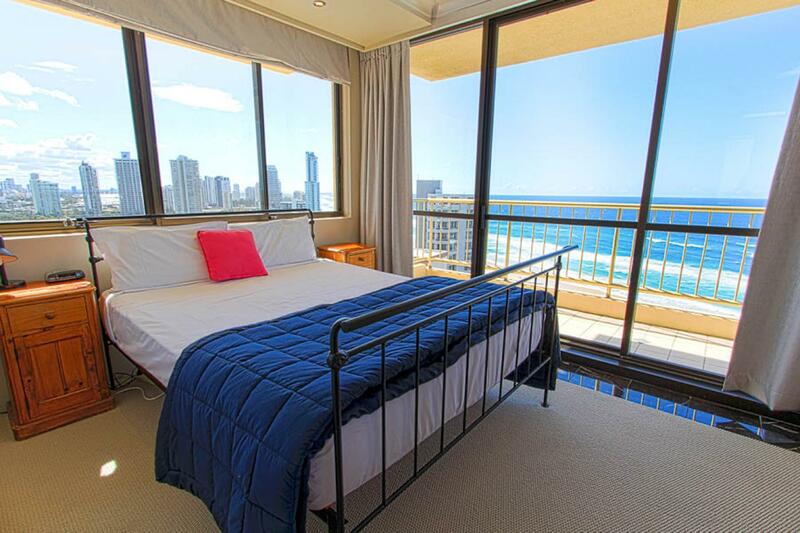 There are many more apartments over Cavill and view Ave of about same price that CapricornOne charged us. Not recommended. hello... this is our 1st time to check in Capricorn One aprtmt. Overall were okay except that it doesnt provide a hair dryer in aptmt. And suggest it is time to change the old furniture and upgrade a little in the interior of apartment. We got a unit on 18 floor which provided us with fantastic view all around. It is within walking distance to the beach, the tram station and town centre which makes it the best location you could ask for. I would definitely consider returning there. Generally very good. The lady at reception was very helpful. We arrived early at but were still allowed to check in. They were not obliged, so that was very nice hospitality. Otherwise we wouldn't know where to settle down the kids and let them have a good rest. Our baby was very distressed after the early morning flight. So, thank you Capricorn. Safety is also very good at this place. You get a secured basement car park, with chip/key required to access every level. The beach is just across the road, and Capricorn is located just far enough from the main crowd (near elkhorn/cavill) so you get the least crowd. But it is still close enough for you to walk to the main strip on surfers paradise where the nightlife, cafes, restaurants, malls are. The apartment I stayed was clean. There were a/c in the main lounge and master bedroom, but the 2nd bedroom only has a fan. Would recommend Capricorn to anyone looking for a great value family friendly accommodation. Clean and tidy. Good location. Simple. serviceable rooms. I got a good rate. Rooms a bit noisy, and there wasn't the things I was expecting - toiletrys, hair dryer, iron, etc. Kitchen was sparcely stocked. adequate, and - for the price I paid, quite acceptable. Very lovely stay at the apartment. The owners were very friendly and helpful. The location of the apartment was just off the beach and close to everything. Most rooms are high floored so the views from the apartment were amazing. The 2 bedrooms are very spacious and the apartment contains everything we need for the stay. Will definitely recommend it to others. The views from our apt on the 15th floor were stunning, amazing beach views on one side and amazing inland water views on the other, though the windows really need a cleaning and this does spoil the view a bit. Everyone should realize this is not a hotel, it is like borrowing someones beach front apartment, if you want a hotel then book a hotel. 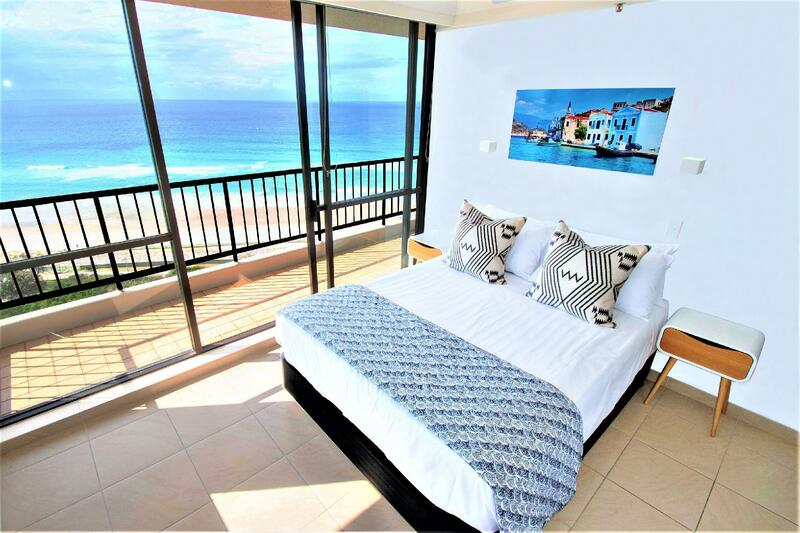 If you want a beach front apartment with amazing views then this is for you. The tram station is a 400 m walk away the main shopping area is a little over a kilometer away but very walkable. If you stay here then head to Coles stock up on some food and cook for your self. We were 5 people in group. Everyone was very satisfied with the stay in this apartment. The manager, Brenda is very friendly and helpful. We really appreciate of whatever she has done for and advised us. The apartment is very clean with a very good view from the balcony and the kitchen. It was so convenient for us with a car park as we had rent a car for the trip. The location of this apartment is very convenient to drive to the attraction places and stores. The kitchen was well equipped for cooking...from there we save money. We will be back for this apartment and will strongly recommend to our families, relatives and friends. Thanks again to Brenda and wish her all the best! This was my 5th time staying here, and I always love my time here. The managers, Brenda and Steve are always so welcoming and really know how to maintain the property. This time I had a very recently renovated apartment, and as always, everything was perfect. I love the views and the wonderful riverside BBQ area! Cant wait to return! Thoroughly enjoyed our stay, and our 2 bed, 2 bath apartment with laundry and kitchen was ideal!! Our trip was mid spring so it was quite comfortable for temperatures of mid 20's however if you were to go in Summer I imagine it would be extremely hot without air-con, I was expecting there was air-con or at least fans in the living areas, so if I was stay there again, I would make sure I got and air conditioned apartment as I noticed there were some there. This hotel is nothing like the pictures and very run down. Very disappointed. Blinds wouldn’t shut. Windows were filthy. Dining chairs were stained, old & worn. Paint peeling off walls and cupboards. Bathroom old and run down. No air conditioning.. won’t be going back.